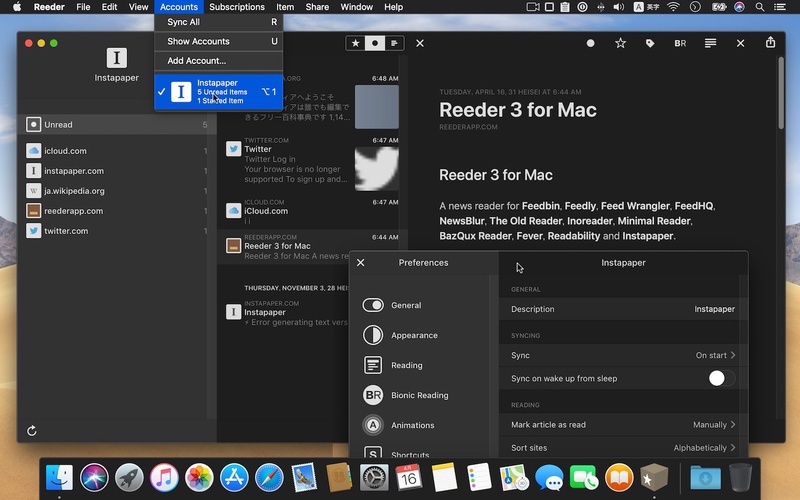 開発中のRSSリーダー「Reeder v4 for Mac」がBeta 11へアップデートし、「Bionic Reading」モードと後で読むサービス「Instapaper」の閲覧に対応。 | AAPL Ch. 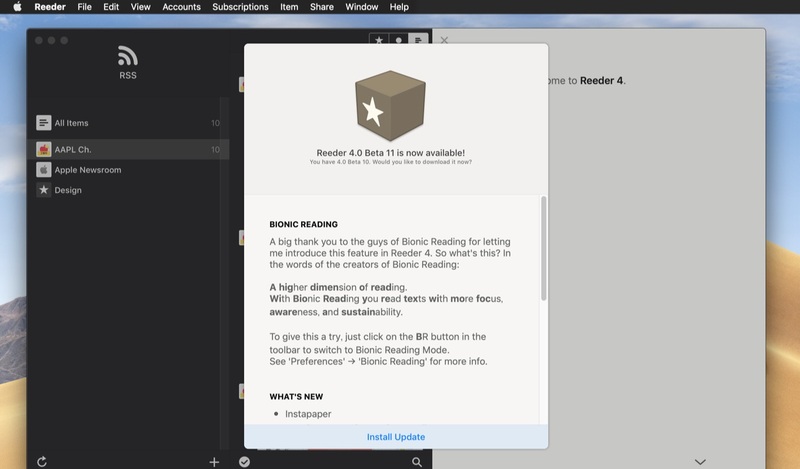 A big thank you to the guys of Bionic Reading for letting me introduce this feature in Reeder 4. So what’s this? In the words of the creators of Bionic Reading:A higher dimension of reading. 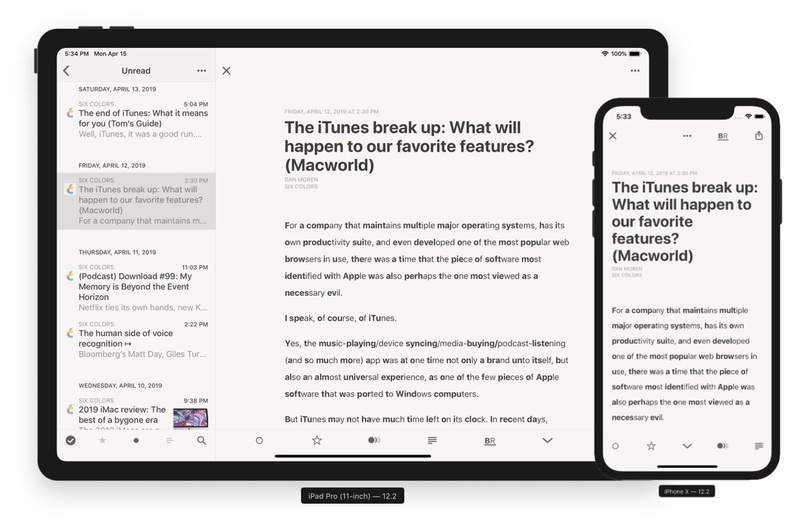 With Bionic Reading you read texts with more focus, awareness, and sustainability. Bionic Reading is a new method facilitating the reading process by guiding the eyes through text with artificial fixation points. As a result, the reader is only focusing on the highlighted initial letters and lets the brain center complete the word. 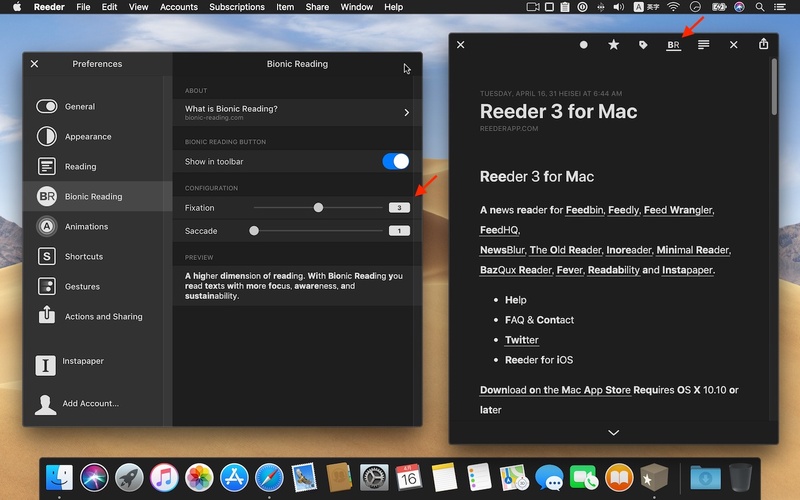 To give this a try, just click on the BR button in the toolbar to switch to Bionic Reading Mode. See ‘Preferences’ → ‘Bionic Reading’ for more info. 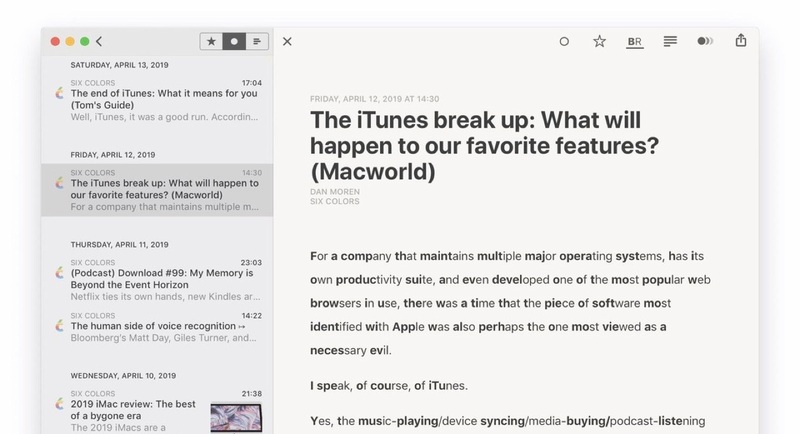 ⌘W now behaves the same as in Reeder 3, closing the in-app browser or article if any of these is open. Use ⇧⌘W to skip this and just close the window. Archive list in All Items view mode. This only shows articles which are read and not starred. Show current feed title and items count in article viewer when no item is selected.